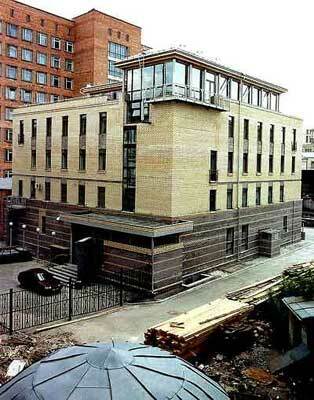 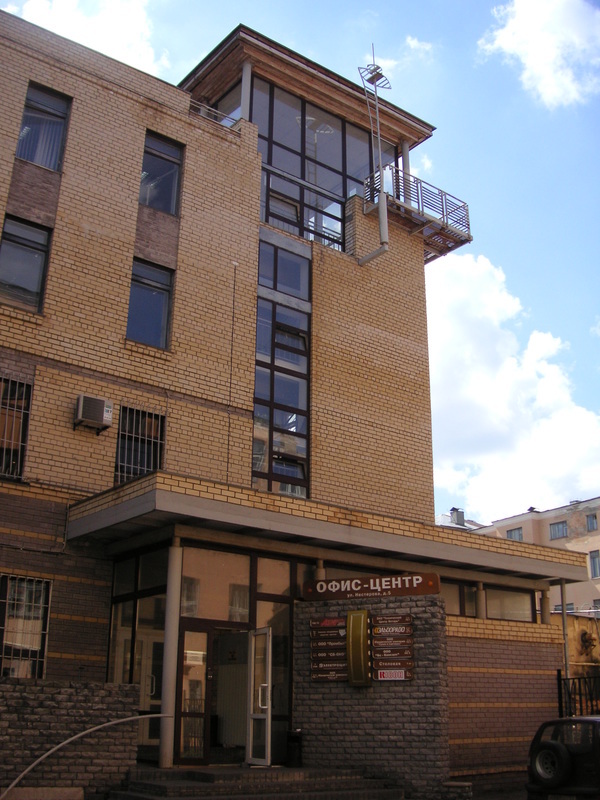 Service block on Nesterova str. 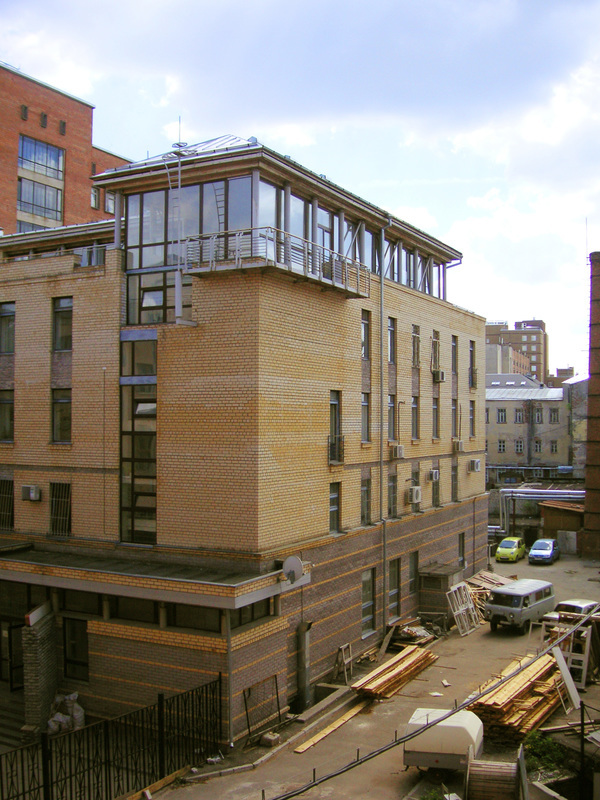 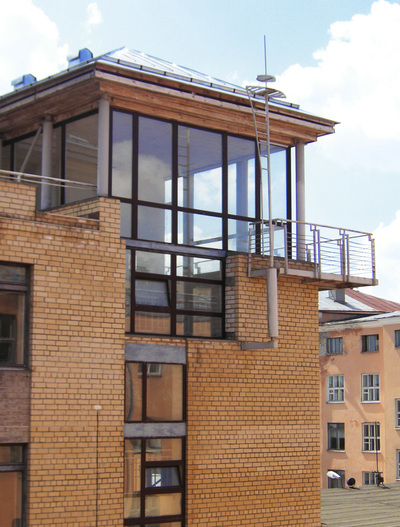 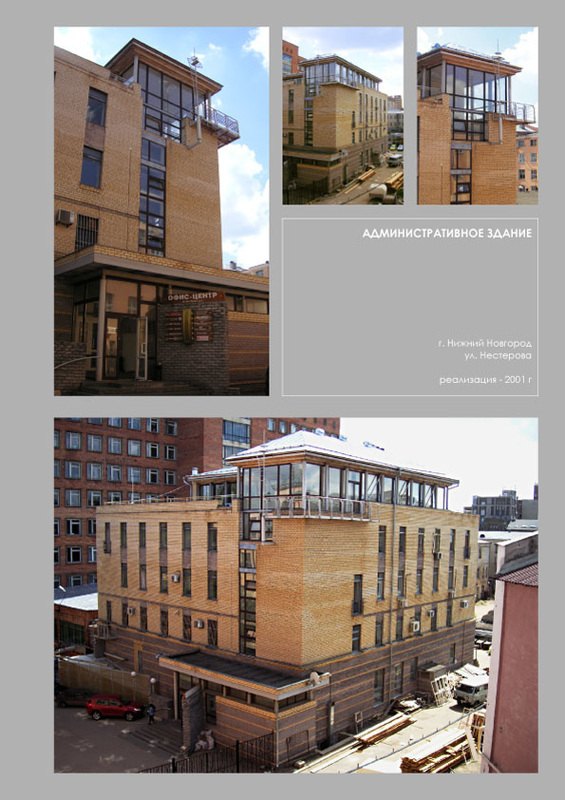 The building was placed in the Academy’s narrow yard; therefore the architects had to design its main volume in the minimalist manner putting an accent on the penthouse. 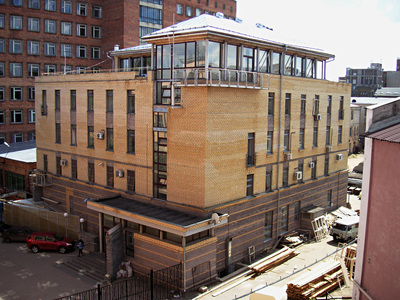 The building evokes associations with the architecture of a ship. Blue and white interior’s colors match the marine theme.